Complicated, multi-dimensional female characters are rarely portrayed onscreen. It is even less common to see one that leaves the audience conflicted. Those making decisions in Hollywood think surprises in the form of complicated women can be bad for business. The result is that the 51% of filmgoers, aka WOMEN, are mostly treated to some version of 3 or 4 basic stereotypes. 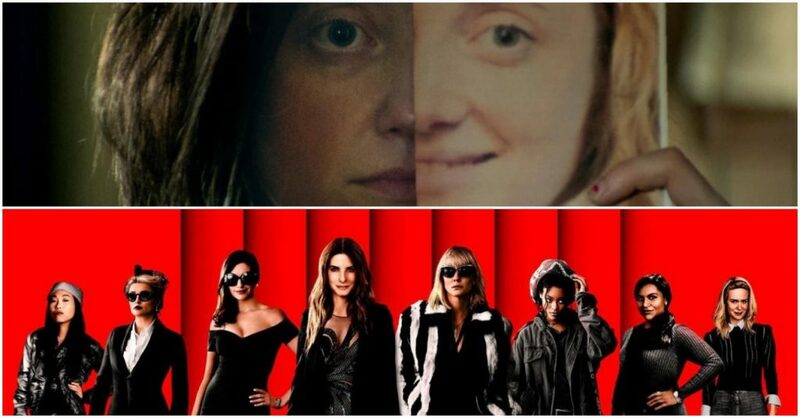 Enter two new feature films this weekend, both of which, to varying degrees of success, boldly go where women in real life already are. Complexity. It’s like the hashtag #itstime formed its own production company. With the new indie Nancy, writer/director Christina Choe, who won the Waldo Salt Screenwriting Award at this year’s Sundance Film Festival for the film, explodes onto the scene as a filmmaker with intension, a strong point of view, and serious storytelling skills. Nancy tells the story of the lead character (played by chameleon-like English actress Andrea Riseborough), who craves connection, and goes to great, often questionable lengths to get it. In her own world, she is longtime caregiver to her sick, verbally abusive mother (Ann Dowd), but finds ways to create bonds, however tenuous, with people through the web. When she sees couple Leo and Ellen (Steve Buscemi and J. Smith-Cameron) speak of their long-lost child they believe was kidnapped some 35 years before, Nancy starts to believe she is that child. Their meeting and interactions, and how their relationship develops, is the substance of the movie. There is tension and awkwardness as we get to see Nancy attempt to speak to her potentially long-forgotten parents. The audience doesn’t know how truthful she is being to them or to herself. We see her making mistakes, craving love, and making both very good and very bad choices. As Riseborough plays her, she seems at once unsure and earnest. Viewers can’t help but feel for her, and relate to some aspect of her frustration or feelings of yearning. It is fascinating, given the praise the film got at Sundance, the beautifully written script, and the nuanced performances, that this movie gets anything but the highest marks from critics, but there you see yet another example of the gender-skewed ratings on Rotten Tomatoes. If you want to see a film with a female lead that doesn’t fit the usual stereotypes and might even leave you unsure if you love or hate her, (you know, like scores of male characters in the history of film?) support this indie film and do it soon while it’s in theaters. Someone somewhere got the memo that women can make bank in studio releases. With that in mind, a female-focused spin-off of a Sinatra reboot (Steven Soderbergh’s Ocean’s trilogy) is being released this weekend, with some of the most compelling female A-listers onboard. The film is as much a testament of the costars’ star power, as it was from the last set of films. It’s so much fun, you barely notice its flaws. Sandra Bullock stars as Danny Ocean’s sister Debbie, who, in the opening scene is being released from prison in a near exact replica of the scene performed by George Clooney in 2001’s Ocean’s Eleven. She has been hatching a plan for an extravagant heist in her 5 year on the inside. She calls upon her sisters-in-crime and builds an expert crew to put her plan into action. With the help of BFF Lou (Cate Blanchett), Amita (Mindy Kaling), Tammy (Sarah Paulson), Constance (Awkwafina), Nine Ball (Rihanna), and Rose Weil (Helena Bonham Carter), they go about stealing nearly priceless jewels at the Metropolitan Museum’s exclusive event, the Met Gala. They need a victim, and self-absorbed celeb Daphne Kluger (Anne Hathaway) fills the bill. The sleekness, smart repartee, and coolness factor is all there, as it was for the male version of the series. What is added with having a group of women is not centered on cliches, silly girliness, or sap. It’s a smart, gorgeous, well-acted flick that just happens to star women, and women being women in all the best ways. The fact that it has no discernible villain, and doesn’t go far into the motivation of any of the characters, only detracts from the film if you’re thinking too hard. The George Clooney vehicles had a bit more heart, to be sure, in that he had reasons that went way beyond just making a score. Bullock has a few secondary reasons herself, but the film skitters along the surface of them. No matter. Rihanna’s character walking the red carpet is such a vision, it’s almost worth the price of admission on its own. In fact, the glamor and swagger the ensemble cast brings to their roles is as memorable as any created by the Soderbergh crew.